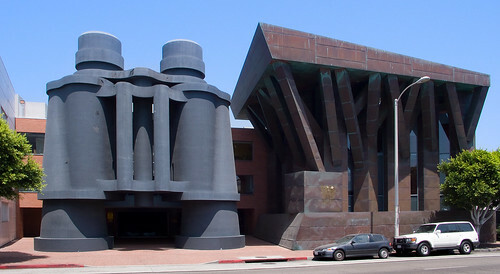 This amazing binocular shaped structure is part of a commercial building, located in Venice neighbourhood of Los Angeles, California. 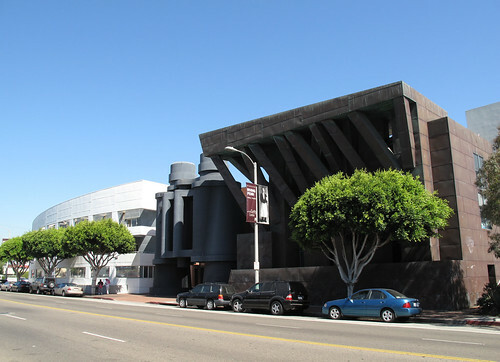 The building now known as TBWA-Chiat/Day building was designed by the famed architect Frank Gehry for the advertising agency Chiat/Day and was built between 1985-91. (See update below). 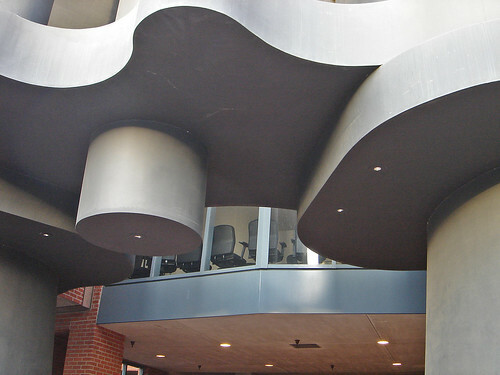 It is notable for three different façade, specially the massive binocular shaped central component which was conceived and created in collaboration with Claes Oldenburg and Coosje van Bruggen. It is a strange co-incidence that the binocular shape was designed for an island community on Laguna Morta in Venice, Italy but that project did not materialise and later on a request from Frank Gehry the design was used at Venice, LA. The binocular having dimensions of 13.7 x 13.4 x 5.5 metres (45 x 44 x 18 feet) has steel frame exterior with concrete and cement plaster painted with elastomeric paint. The bottom lens area of the binocular is actually the entrance for the three levels of underground parking which caters to about 300 cars. 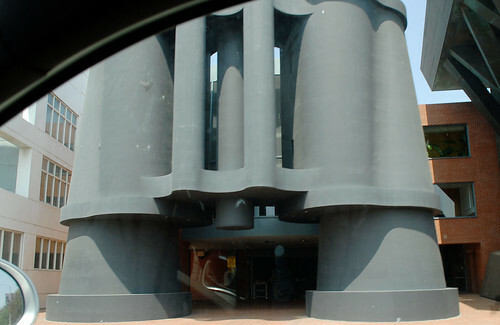 The main cylindrical areas of the binocular serves as space for private conferencing and are connected to the main conference room in the adjoining building. Each eye piece is the skylight. Google leased this building in January 2011 and is now occupied by them.